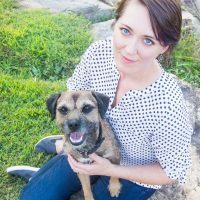 With the belief that everyone (dogs and humans alike) learn best in an environment free of criticism, Hannah breaks down complex skills into bite-sized, accessible pieces, and develops practical techniques that leave her students with a sense of achievement and success. She is on a mission to make training effective + enjoyable for dogs and their handlers, which means optimizing positive reinforcement techniques across species. She is fascinated by behavior and learning, and passionate about bringing innovative, science-based solutions to the dog/human learning space. Hannah has a background in both human sports and biology. Now she applies that knowledge and experience to the world of animal training and canine competitive sports. She enjoys training and competing with her own dogs in a variety of sports, and has titled her dogs in Obedience, Agility, Conformation, IPO (Schutzhund), and Rally. Her competition obedience DVDs, Obedience FUNdamentals, and Beyond FUNdamentals, have received rave reviews from trainers all over the world, and her students have earned advanced titles and in multiple countries. 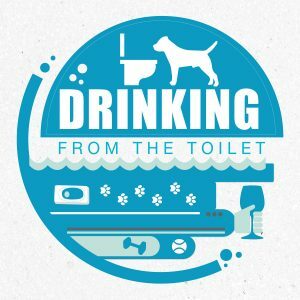 Hannah is the host of the popular dog training podcast, Drinking from the Toilet, which focuses on the (often inconvenient) intersection between positive reinforcement philosophy and reality. I found you through Hannah Brannigan’s interview, and I have been going through all of your podcasts since then. I have loved them all, but was especially blown away by your interviews of Nic Bishop. Wow! I can’t wait to get back in the car for my long commute, so I can hear more episodes.